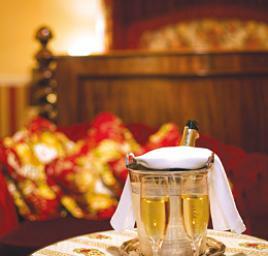 Your guests may choose from our trio of hotels as to where they would like to stay for the during of the celebrations. It is advisable to book in advance of the ceremony to avoid disappointment. Each of the Corbyn Head’s 45 Non-Smoking bedrooms are well appointed and afford the highest standards in comfort. All rooms have a private bathroom, Free-View television, telephone, hairdryer, tea and coffee making facilities. In addition, many bedrooms have private balconies from which you can take in the stunning views and enjoy the Summer sun. Why not ask for a Sea View Room available at a small supplement. And so to bed in rooms that provide those comforts intended to make your stay with us just that little more enjoyable even providing a range of sizes, styles and qualities of accommodation to suit the requirements of a discerning clientele. Your comfortable bedroom has a private bath and/or shower and toilet. 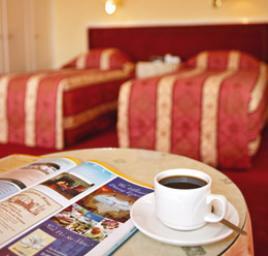 All rooms have Free-View TV, radio, tea and coffee tray, hair dryer, baby listening facilities and telephones. All Rooms are Non-Smoking. Why not ask for a Sea View Room available at a small supplement. Each of BEST WESTERN Livermead Cliff Hotel’s 65 Non-Smoking bedrooms are all tastefully decorated, and many of them enjoy a wonderful sea view - some with shared balcony access. All rooms have en-suite facilities, LCD Free-View Flat Screen TVs, telephone, hairdryer, tea and coffee making facilities and internet connection points for our business travellers or guests travelling with work in mind and laptop to hand. The whole of BEST WESTERN Livermead Cliff Hotel has 100% Free Wi-Fi Internet access over the whole hotel. 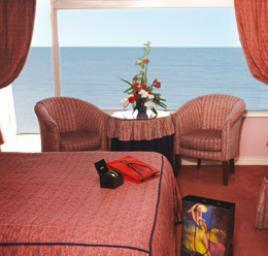 Why not ask for a Sea View Room available at a small supplement.